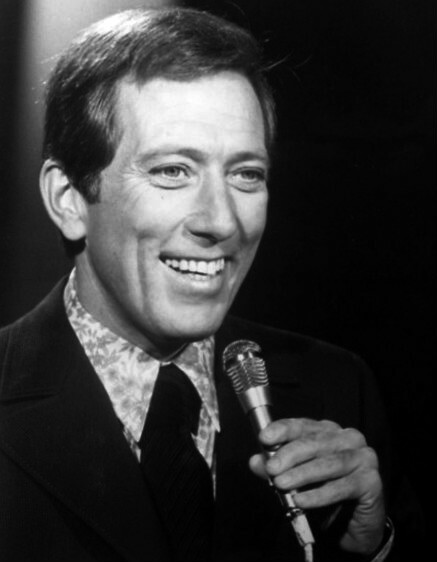 Legendary singer Andy Williams died Sept. 25, 2012, and with him, a big part of the Branson community. I know he will be dearly missed. Despite his long career in the industry, Williams said he still looks forward to when he’s able to get on stage again. “I really do still get excited when a new season is starting,” Williams said. A little more than two months later, I was fortunate enough to have been the only media representative present at what would be Andy Williams’ last live concert. To be completely honest, that it might be his farewell performance had been in the back of my mind even then. What follows is my personal reaction to that appearance, which was printed in the same edition as the news story. You can find the full text here. The front-page report on Andy Williams’ announcement will likely not come as a surprise to many readers. Our original online story, which went live late Saturday night, was picked up by the Associated Press and widely disseminated. The news even made it into a few networks’ Sunday morning broadcasts. But I have to revisit the event once again, if only to convince myself I’ve done my best to tell the whole story. I think Saturday night was much more than an announcement. If that had been all Williams wanted to do, he probably would have just sent out a press release. No, this was more than that. This was a man whom I think really wanted to personally thank his fans for their love, support and prayers during this difficult time for him and his family. And yet, it was also a gutsy, two-part declaration. No. 1, he would not allow the rumor mills and supermarket tabloids to have any power over him and, No. 2, he would not be beaten by this disease. His song Saturday night put an exclamation point on that. It was vintage Andy, complete with all the solos and frills any fan could ask for, and showed there is still plenty of fight in the 83-year-old entertainer. I’m sure I can speak for everyone at the Branson Tri-Lakes News when I say we wish him a speedy, successful recovery. We look forward to seeing him take the stage next year and many times to come. Thanks for never giving up, Andy, and for inspiring people a quarter of your age to do the same. Rest in peace.